When you try to manage energy use at home it must become a way of life. In other words the entire family must support your attempt at reducing the cost of electricity, heating fuel and so on if you really want to make a substantial change. But it is a struggle to get the family on board. They are either not interested or they just do not care because they are not paying the bills! If they have no idea of what the cost of electricity and heating fuel actually is, then they may not care that much that the cost of this energy can be reduced putting more money in your pocket. Thus is typical in families and yet you can make it happen over time. Even my spouse is hard to convince. We now do the laundry after seven at night because the cost if electricity is cheaper. My spouse does the laundry at that time because she knows that it would be upsetting to me if she did the laundry at some other time. I have this feeling that if I was not there she would do the laundry whenever she felt like it. When the cat is away, the mice will play is the expression that comes to mind. But we are making progress, we now use timers for some lights and we do the laundry after seven! There are two ways to manage energy use and the associated cost. First shift your use from peak rate times to low rate times e.g. Do the laundry in off peak time frames. Run your pool pump, your air conditioner, cook meals etc in off peak times to reduce your overall cost. Secondly you can reduce your energy costs by using less energy. Energy efficient appliances, converting to LED lights, turning lights off when not in use etc. are all ways of reducing energy use. 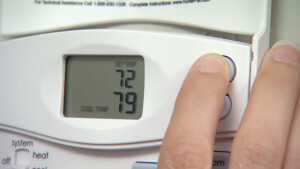 Managing your heating and cooling cost is another way to reduce your overall energy cost. Simply adjust the temperature so that your heating system and your cooling system does not run as often. You will save energy for sure. LED’S are by far the most efficient light that can be used and will save you a great deal of money. Most people just have to get over the initial sticker shock, but they are definitely worth it.